The team of Rena and Brooks quickly find themselves assigned by the president to find out what happened and why. There are careers at stake, from the White House on down, as well as foreign policy goals of an administration winding up its term. Author Tom Rosenstiel, a veteran reporter and observer of the Washington political scene, has carefully researched — with the help of other Washington veterans — how such political fiascos can tie the capital city in knots. His effort to realistically capture such an unfolding event requires the reader’s attention, especially to the many characters introduced early. Recreating a convoluted disaster like this diplomatic attack and the subsequent “Star Chamber” inquiries, with its paralysis of guilt and suspicion, is no easy feat. Rosenstiel, with his vivid descriptions of the city, its neighborhoods and halls of government, as well as the interplay of the powerful people there, is up to the task. Rena and his team of investigators rapidly learn that the circumstances of the attack are very different than first reported — and very troubling. As they interview more veterans of the intelligence business and navigate through the churning political waters, Rena, Brooks and their assistants uncover more disturbing details about the diplomatic attack. Rosenstiel seems intent on exploring the many different kind of scandals and misadventures that can unfold in the nation’s capital. 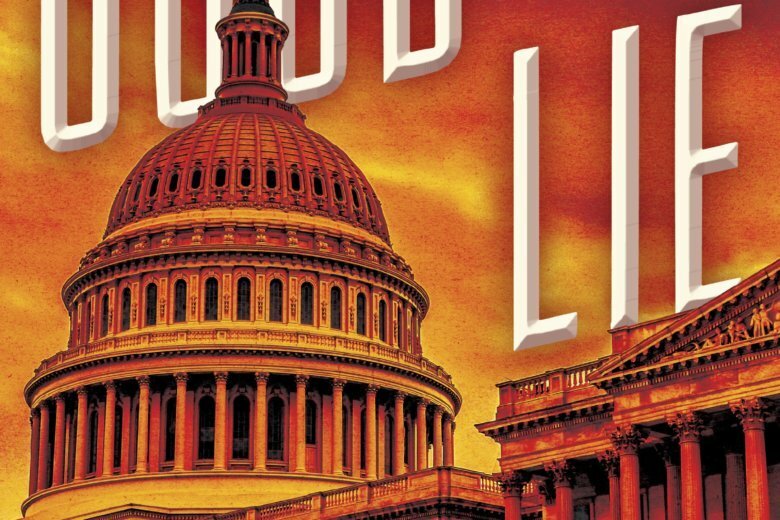 In the first Rosenstiel book about Rena and Brooks, “Shining City,” he traces a more straightforward story about the vetting of a Supreme Court choice and the background threat of a shadowy killer. In “The Good Lie,” he takes on the tougher, more complex task of looking at how the capital city descends into paranoia after the deadly diplomatic attack in North Africa. Watching what Rena and Brooks take on next, if they have another adventure ahead of them, should be both interesting and an education. Will Lester, a political writer for The Associated Press for a dozen years, is an editor in the AP’s Washington Bureau.